“Welcome to my exclusive look at the new HAARP two meter antenna designed and built in North Lincolnshire by Phil Simpson M0PXS. Whilst the name is a take on the famous American research facility in Alaska “High Frequency Active Auroral Research Program”, Phil has used it as an Acronym for “Ham Amateur Antenna for Radio Propagation” he says. The antenna is based on the very famous and compact antenna designed by the Late Les Moxon (G6XN) which is widely known as a “Moxon Rectangle”. Since the original design, Ron Stone (GW3YDX) redesigned the antenna adding a further element to create what he called the “Super Moxon”. 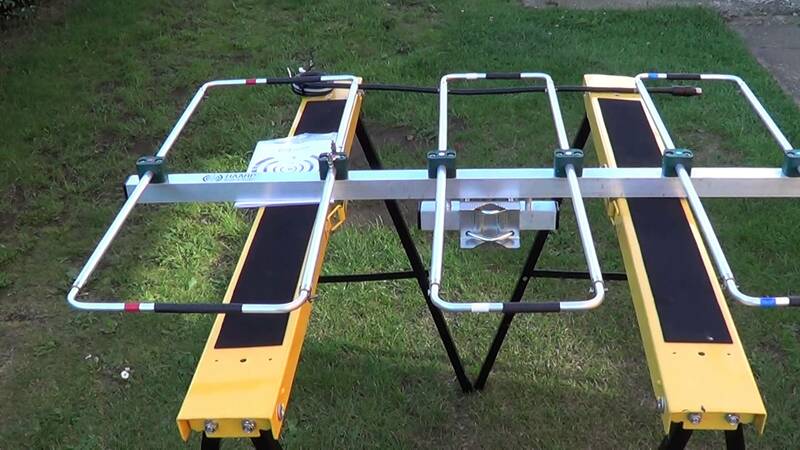 With the help from a modern antenna modelling program Phil Simpson (M0PXS) has taken the design one step further to add an extra element to the “Super Moxon” design. In this video, M0OGY Radio and Antenna Reviews takes a look at the concept and the build quality that is really up there with the best bespoke antenna manifacturers. Further tests with an MFJ Antenna Analiser and some “On Air” tests with my Trio TR9000 multimode low power portable and then further usage at the station on M0OGY with my Icom IC910HX will be shown via this Youtube channel. The HAARP two meter antenna is available direct from Phil for a very reasonable £79.00 plus P&P.